Author Ingrid JendrzejewskiPublished on 27 April 2012 2 Comments on May Day! May Day! May Day? It's nearly May, and you know what that means? 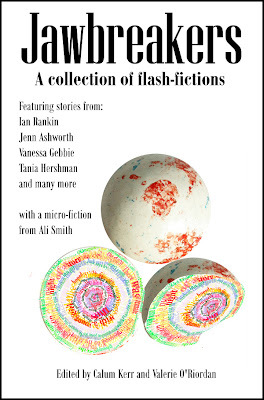 It's nearly National Flash-Fiction Day!! So, in honour of all of that, and following on the great success of last week's Shakespeare prompt, we'd like some more flash-fictions from you. The deadline is 5pm on Monday, with the posts appearing over at our flashes blog (http://nffdflashes.blogspot.co.uk/) all day on Tuesday, 1st May. 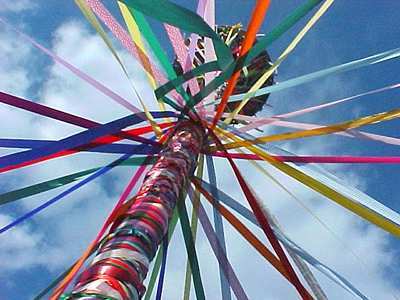 The limit is 310 words (31 days in May, you see) and the theme is May Day! Or Mayday! Or M'Aidez! Or anything really, that includes any of those words and concepts. And that's it, that's your task! Send your stories to us at nationalflashfictionday@gmail.com and please put the word 'May' in the subject line. We can't wait to see your writing! Published on 27 April 2012 Author Ingrid JendrzejewskiCategories Flash prompt2 Comments on May Day! May Day! May Day? I’ve been writing – and writing about – flash fiction for a while now and I love how diverse a discipline it can be. Ask me my definition and I bet it’ll be different to what you were told last time, and different again to what you’re told next. And that’s what’s so great about writing micro: it might be small in scale but it’s more than substantial in scope, from process to performance. And that's what the Manchester-based FlashTag writing collective (which consists of Manchester Blog Awards winners and flash fiction writers Benjamin Judge, David Hartley, Fat Roland and Tom Mason - oh, and me) were thinking about when we came up with our idea for a National Flash-Fiction Day event. We're fans of site-specific stories and of delivering our prose in unusual ways, so we've decided to treat the rainy city to some guerrilla story-telling; some flash fiction flashmobbing, if you will. We plan to travel across town, stopping off at various locations - from cultural venues to iconic spaces - where one of the group will read out a piece of short fiction to the public then move on. We're not releasing details of the itinerary until the day, when you can follow our progress - and perhaps catch us in action - via our Twitter account, @flashtagmcr. Sarah-Clare Conlon is a writer and editor, and one half of flash fiction/music combo Les Malheureux with David Gaffney. You can read more from her on award-winning arts blog Words & Fixtures. There's less than three weeks to go before the first National Flash-Fiction Day is upon us, and two days before THAT, I'm going to be running a flash-fiction workshop in Manchester City Library. The event's sold out now, but you can still sign up to get on the wait-list, if you're interested. And to get you interested - and perhaps to demystify things for those of you who'll definitely be joining me on the day - here's a taste of what's in store. First off: no lectures, no tutorials, no severe editorials - this workshop's going to be all about the writing. (And a little bit about the reading - it is in a library, after all...) If you're anything like me, the blank page is a savage horror on the desktop: whilst those first words can be honed and tweaked and crossed out and reconsidered, getting them down in the first place is often the problem. So I want to use this workshop as an opportunity to break down these barriers - for one night, at the very least! So what we'll do will be a couple of very fast, very frantic writing exercises. It'll be fun, and there won't be time to over-think - or, perhaps, to think at all! - or to get intimidated; we'll be gathering prompts and blasting our way through some far-from-premeditated stories as fast as a ticking clock will allow us. (I promise not to bring a ticking clock.) And to get you in the mood, in between rounds, I'll be showing you some of my favourite examples of flash-fiction - for inspiration, not intimidation! At the end of the session, nobody will have to share their stories, but if they want to, there'll be the chance to get them uploaded onto the library's website. Fame! Our great Director, Calum Kerr, has also set up a new flash-blog if you want to send him your work - and I'll also be talking to you about other submission opportunities for flash-fiction. And if all this hasn't scared you off, I'll see you on Monday May 14th! Aren't Wednesdays coming around fast now? Can you believe we are just THREE WEEKS away!? Amazing! First of all, in case you didn't notice, we completed our part in the production of Jawbreakers. The text has been proofed and finalised, the cover has been designed and the whole thing has been sent off to our printers. They reckon about 10 working days so, by our calculations, that puts the book in our hands round about 9th or 10th May! We are, of course, massively excited about that! When it lands we hope to be able to ship it very soon after. News will follow very soon of how you can pre-order your copy. And, if you are organising an event, we would like to you take a few copies (say 10?) to sell on the night. If you are happy to do this, please get in touch. Next I should mention that we have quite a lot of competitions closing in the coming week from #Flashtag, Once Upon a Time, 1000 words, Writing on the Wall, The Journal and Flash Fiction World. So, if you haven't already sent your stories in, now is the time to do so! Full listings at http://www.nationalflashfictionday.co.uk/competitions.html. We've also listed a bunch of new competitions, some coming up after the Day, so do keep checking the page for new goodies. Other events coming up that you need to be aware of as we approach the day include workshops from myself and Josephine Corcoran down in the South West (http://www.nationalflashfictionday.co.uk/southwest.html), Writing on the Wall in Liverpool (http://www.nationalflashfictionday.co.uk/northwest.html), Emma J Lannie in Derby (http://www.nationalflashfictionday.co.uk/midlands.html) and Valerie O'Riordan and Collaborate Here in Manchester (http://www.nationalflashfictionday.co.uk/manchester.html). Do sign up while there are still places available, they all promise to be exciting and interesting. And another reason for signing up to those is your chance to see your work on our new blog: http://nffdflashes.blogspot.co.uk/ which we are using to pull together featured work produced by all the various NFFD events which don't already have their own embedded publication (and the random exercises I've started to set for you all. Watch out for another one this weekend!). Do have a read of what is being produced, there's some great work there. Collaboration with our international friends is moving along, with some cross-pollination between us and National Flash-Fiction Day - New Zealand (http://nationalflash.wordpress.com/), a pamphlet being produced in Brisbane which is looking for your work (http://chriswhitewrites.wordpress.com/2012/04/19/national-flash-fiction-day/) and an event now happening in Dublin (http://www.inkwellwriters.ie/national-flash-fiction-day-at-big-smoke/). So make sure you check those out. As usual, we've been updating the website with new writers as well as new events and competitions. We've added a 'Kindle' page to bring together all of the e-books available from our writers. If you have a book on Kindle and would like to be listed, do drop us a line. What else? Well, the posters have arrived! (Whooop!) And I hope to be sending those out in the next couple of days. So, if you want any posters, or some of the story cards (or MORE story cards if you're run out) then, again, drop us a line. And, apart from that, it's business as usual. Please do follow and promote our social media outlets at https://www.facebook.com/nationalflashfictionday, https://www.facebook.com/JawbreakersFlash, https://twitter.com/#!/nationalflashfd and join in with the various activties. And, if you get a chance to talk to your local press about us, we'd be awfully grateful! If you have any questions, queries, ideas or comments about National Flash-Fiction Day, or to sign up for the mailing list, please do get back to me at nationalflashfictionday@gmail.com. A mail will be out in the next couple of days about pre-ordering the book. Thanks, as ever, for all your support and hard work. And here's to the next three weeks!! To Flash or Not To Flash? … Flash! Author Ingrid JendrzejewskiPublished on 20 April 2012 Leave a comment on To Flash or Not To Flash? … Flash! Here at National Flash-Fiction Day we have asked you to do many things - enter competitions, organise events, buy things, sell things, all sorts of stuff - but one thing we have not yet done is that which is at the heart of flash-fiction writing; namely, we have never given you a prompt, a short span of time, and told you to sit down and write something. Well, today that all changes! Monday is 23rd April. It is St George's Day. 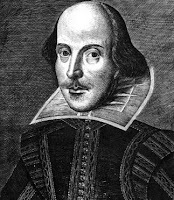 But also, and perhaps more importantly for us writery types, it's Shakespeare's birthday. So, your task is this. Sit down and write us a Shakespeare-related flash. It could use old Bill himself in the story, or it could be based on a character, event, scene or plot from one of his plays. The specifics are up to you, but it should be a recognisably Shakespearian flash. And, as the man wrote 37 (confirmed) plays, let's make the word limit 370 words. This is open to anyone anywhere in the world, and you have until 5pm on Sunday (BST). Send your completed stories to us at nationalflashfictionday@gmail.com (with 'Shakespeare' in the subject line) and they will be posted on our story blog at nffdflashes.blogspot.co.uk on Monday. And that's it. What are you waiting for? Lay on MacFlash-Fictioneers, and get writing! Published on 20 April 2012 Author Ingrid JendrzejewskiCategories Flash promptLeave a comment on To Flash or Not To Flash? … Flash! Well, it's another Wednesday, another bulletin, and only 4 weeks to go!! Our biggest news is probably the announcement of our anthology, Jawbreakers. I shan't reiterate all that's been said before, but you can read all about it at http://nationalflashfictionday.blogspot.co.uk/2012/04/anthology-final-list.html. Just to say that we are hoping it will be available at the beginning of May, that it will be available via Amazon as both book and Kindle or directly from me as book or PDF. I shall send out more about price and how to buy it etc. once I know more. In the meantime, why not 'Like' the new Facebook page for up-to-the-minute info: https://www.facebook.com/JawbreakersFlash. In other news, we have managed to inspire the world with our efforts! New Zealand have announced their own NFFD, details at http://nationalflash.wordpress.com/. So do please support them in their efforts if you can. And, I've heard this morning that there will be an anthology being produced in Australia to tie in with our Day. More when I have details. Closer to home, we now have an event happening in Scotland, Edinburgh to be precise. I haven't had a chance to add it to our website yet, but details are at http://underword.co.uk/. And there is a whisper of something coming along in Northern Ireland too, so stay-tuned for word of that, or get in touch if you'd like to be involved. However we still have a lack of events in London, of all places. So if you are there and want to get something happening, let me know! The Story Cards I mentioned in the last bulletin have arrived and the first lot have been distributed, but we still have more left. So if you want some to pass out to friends, family, neighbourhood arts venues, or to promote your event, please get in touch. The posters are on order and should be here soon. Again, let me know if you want some, if you haven't already. Also, Liverpool's Writing on the Wall, who are running the Flash Fiction at the end of the World competition, now have 20 entries up on the site for people to read. They will also be displaying them in a very prestigious site at the FACT arthouse and cinema in Liverpool. All the details can be found here for the final event – http://www.writingonthewall.org.uk/event-listing/flash-fiction-final.html with Author Mike Carey, who is nominated for a Hugo award, who will be reading and judging the final, and go here for all the stories and the entry page: http://www.writingonthewall.org.uk/flash-fiction-submission.html. Loads of you have been blogging about the Day, including featuring some interviews with me and some of my writing, So a very big thank you for that. If you would still like to, feel free to get in touch if you need anything. And that's it. Except to say keep visiting our website at http://www.nationalflashfictionday.co.uk/ for more updates, check out the events - some of them, such as workshops, are coming up before the day, so don't miss out - and thank you so very much for all your support. It just keeps getting bigger and better! PS. If you have something you think should be included in this Bulletin, do please send it through to nationalflashfictionday@gmail.com, which is also the address to sign up for the mailing list. Well, the dust has settled, we have patched our wounds and salved our bruises, and we can finally announce the list of stories which have made it through into the first ever National Flash-Fiction Day Anthology. The collection will be entitled Jawbreakers (taken from the story submitted by Jen Campbell) and is, well, just amazing! The job of type-setting, proofing and publishing is already underway and we hope that the book will be available in the first week of May. Keep an eye on this blog, our Facebook page (http://www.facebook.com/nationalflashfictionday) and our Twitter feed (@nationalflashfd) for more news on that as we have it. A big, big thank you to all of you who submitted, the standard was extremely high and we are just sorry we didn't have space to include you all. But, don't forget, there are many more opportunities (with others coming along all the time) listed on our site at http://www.nationalflashfictionday.co.uk/. Very many congratulations to everyone who made it in! It promises to be quite an amazing collection of stories. And thank you all for your support. Submissions for the first NFFD Anthology closed last Tuesday and Valerie O'Riordan and myself have had a hard week reading through the 297 entries we received. It's been a wonderful task, getting to read all your stories, but a hard one having to chose between them. Thank you to everyone who entered, we're so pleased you gave us such a difficult job! Yesterday we finally managed to arrive at a Long List from which we will be choosing the final stories for the anthology. We managed to narrow it down to just under 90, and that has formed the list below. Unfortunately, we now have to cut it still further to about half that number, which is going to be really tough, and probably cause us to argue and fall out! This also means that some of you listed won't make it into the final selection, but we thought we would publish this list because we wanted you to know that even if you don't make it we really liked your story and it's only because of space that it's not going in!